Children worry about scary situations. What if I get lost? What if there is a fire? What if…? 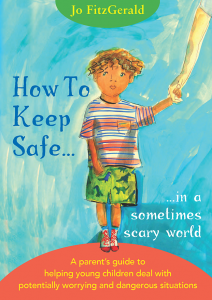 ‘How To Keep Safe…’ is a book for 4-9-year olds and their parents to share. It’s a gentle, illustrated, rhyming story of a boy, his dog and his family. Together, they talk about what to do in case of getting lost, being in a home fire, or getting caught up in a dangerous event. The family makes plans around keeping safe, knowing that bad things will probably never, ever happen. But just in case – they’ll know what to do. 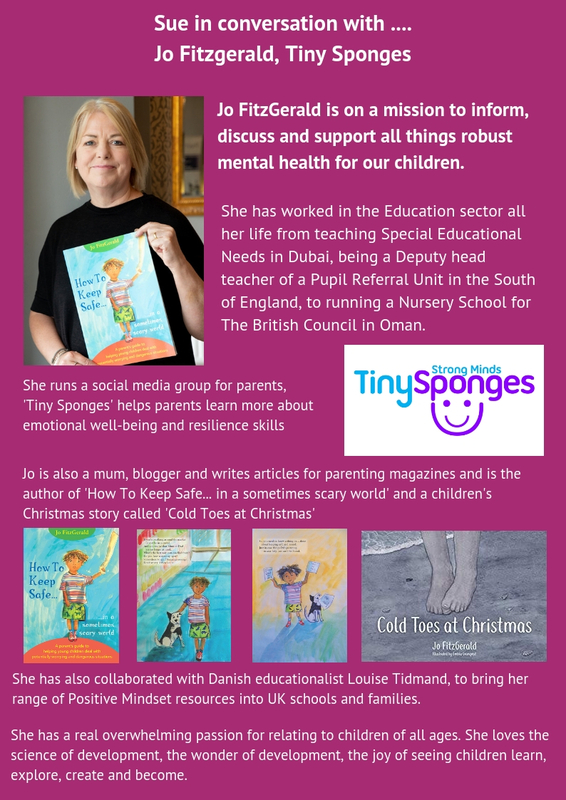 The book helps ease worry and anxiety in children and opens difficult conversations between parent and child over potential dangers and their feelings connected with this. Also included is an extensive parent’s guide with suggested questions parents can ask, how to talk about feelings and ideas for making plans and rules together. ‘How To Keep Safe…’ has the power to help worried children, bring families together, and make plans that will them all safe. Families come in all shapes and sizes. Holidays are often when we try to be together, but it’s not always possible. In some cases, one or more parent is working over Christmas – nurses, police, sailors, and many more. In other cases, families that once were together are now living apart. In these cases, children may look at Christmas with sadness and longing. But there is hope! In this delightfully illustrated story, Grandma tells her little ones about a Christmas she remembers, when she was very young, in her home far away. She was feeling sad and lonely and knew her Mum was sad too. She wanted things to be better – and if you throw a wish up to the sky, who knows what might happen?! 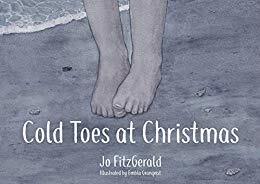 A magical story of love, wonder, imagination, hope, and Santa as you’ve never seen him before! Our lives aren’t always perfect, but if we are loved and if we have hope, if we believe – well, that makes us stronger. And, especially at Christmas, we all need to believe – don’t we? 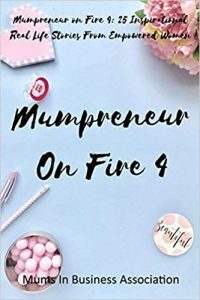 Mumpreneur on Fire 4 is the much anticipated follow up to #1 bestseller Mumpreneur on Fire 3 released in late 2018. Battling through depression, child loss, bereavement, suicide and more these 25 inspirational women share with you how they became successful mumpreneurs against all odds! I have developed a whole range of Quick Win Videos which cover .. Toddlers are not savvy with the concept of shutting their eyelids as a reflex to avoid foreign bodies from getting into the eyes. The continuous flow of water can be an irritant and make the baby cry. Use a head visor to protect the eyes and avoid pouring too much water on the face. If your baby is suffering from rashes or sores, contact with water and soap can alleviate the burning sensation and can sting, resulting in discomfort to the child. Avoid applying soap and excessive water on affected areas and wait until the rashes subside to begin full bathing regime. Perhaps this is the most common reason why do toddlers hate bath. Newborns are highly sensitive to change in temperature and water that is too cold or too hot can make them instantly uncomfortable. Body temperature, which is around 37 degree Celsius is the best temperature to bathe your baby. Check the temperature of the water by using your elbow or use a thermometer to have an accurate reading. Dip your baby slowly into the water to allow them to get used to it. Hunger could be another reason for your baby to cry while bathing. If the baby is not properly fed, it is likely to irritate, especially while bathing. It is essential to feed the baby and wait for 30 minutes to 45 minutes before taking them to a bath to allow the food to get digested. Consulting a doctor is the best way to assess your little one’s skin type and the soap that will be most suited for the same. Use soaps and shampoos specially made for toddlers and avoid using those made for adults. While bathing is supposed to relax the child, it might be counter-productive if the kid is already too tired and ready to sleep, especially if the bath routine is just before bedtime. Try to advance the bathing routine to a little before the usual bed-time. This will not disturb your baby’s sleeping routine. Everything is a first time experience for a newborn and bathing is no different. The feel of water touching the skin might make the baby uncomfortable. Get the baby used to water by starting with sponge baths and slowly progressing to regular bathing schedule. Things which might seem immaterial to us can be a cause of concern for the babies. The temperature of your hand when you hold the baby, the room temperature in the bathroom, the presence of dust, allergens in the bathing area can all lead to the baby getting irritated and in turn starting to hate bath time. Ensure that the bathing area is warm and free of dust. Make sure to warm your hands before holding the baby. Nothing trumps the comfort and safety of your child. It is therefore critical to be cautious and sensitive towards the baby while bathing. Like all other things, your child will get used to this slowly and hence sufficient time should be given to the baby before getting too anxious about their reaction to water. However, if your baby continues to remain upset during bath time, it is best to consult a doctor or your Health Visitor on possible reasons for the reaction and the most viable solution for the same. 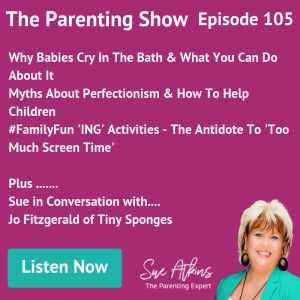 I’ve been working with a perfectionist – but he’s only 5 years old! This is a situation in which there is a clash between two opposing forces. Those two opposing forces are in battle with each other and they are: avoiding your greatest fear and pursuing your greatest desire. For a perfectionist their Number 1 goal is to move towards perfection. They want everything they do/be/have to be perfect, however, the definition that they have defined for what perfection is, is so unattainable that they can never achieve it and as a result it sets off their greatest fear (the greatest fear all people share) the fear that they are ‘not enough’ not worthy of being loved and accepted for who they are. Strive for excellence, rather than perfection. Try & help your child Strive for excellence, rather than perfection. Perfection is something that happens for a certain moment of time. Even greatest artists and athletes & those who nail a 10/10 routine in every competition, can’t do that for the rest of their lives. 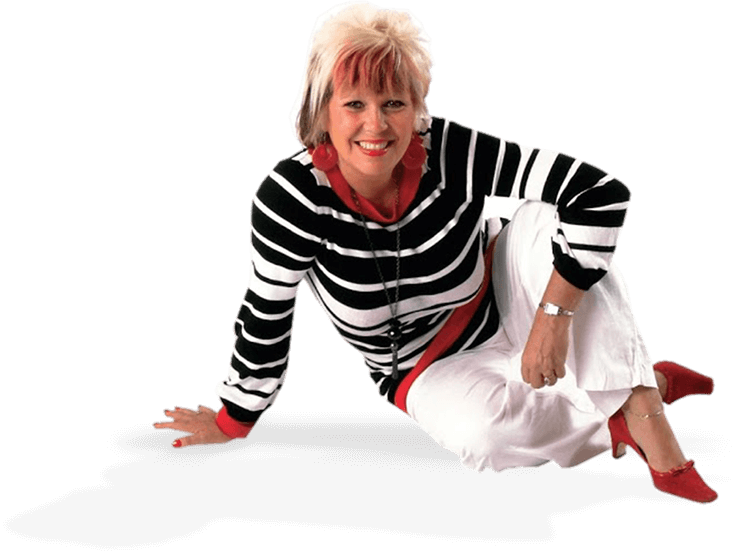 There’s a peak performance time for all outstanding athletes, footballers, song writers or performers. For others, perfection happens fleetingly, as it’s not a constant state that can be maintained. However, excellence can be maintained throughout life. 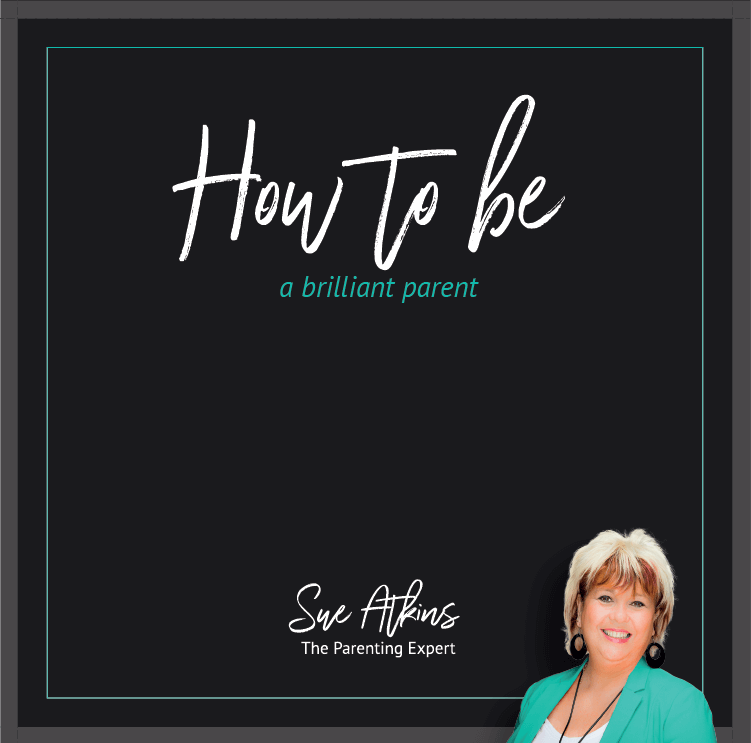 Committing to always ‘Doing your best’ takes commitment, courage and dedication and that’s the measuring stick that your child could apply instead of perfection. So, ‘Talk & Teach’ them the difference. Remember things and areas of life that don’t need to be perfect to be excellent: Family and friendships for example. Help your child to see mistakes as natural, and all part of learning & growing in experience, because perfectionists consider mistakes to be personal failures or weakness. Practice self-compassion.‘Talk & Teach’ your child to be compassionate with themselves, so fear of failure is not exaggerated so mistakes are understood as being a natural and normal part of learning and life. Take the time to examine whether their goals and expectations are attainable. If they are not, help them to give themselves permission to change them. Break goals down into smaller steps. To prevent overwhelm and overload break the tasks or goals down into baby steps to reduce anxiety. How To Recognise Care Giver Burnout.